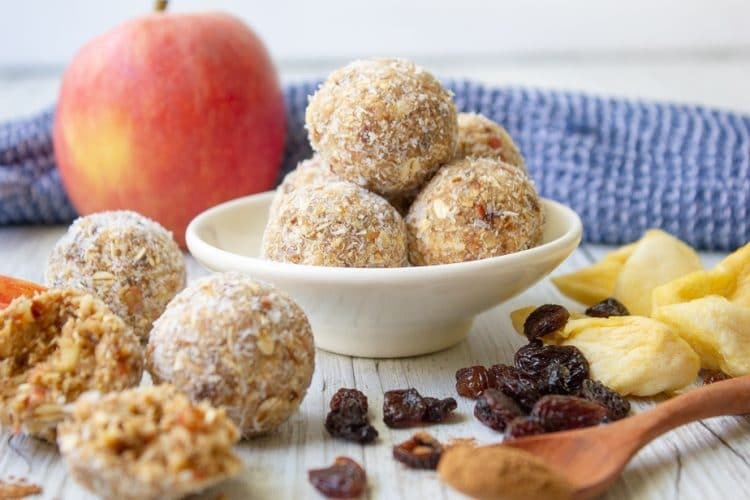 There is one lunchbox snack that I have been digging lately and that is bliss bites (or if you prefer bliss balls, energy balls or snack balls). 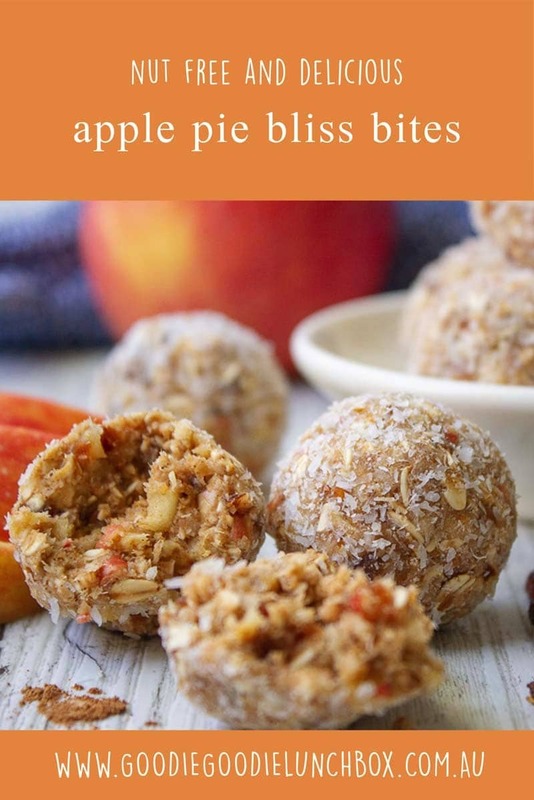 And these nut free Apple Pie Bliss Bites are no exception. They are the first thing that Mr 7 will go for in his lunchbox. And do you know what? That really is not a problem. And I will tell you why. 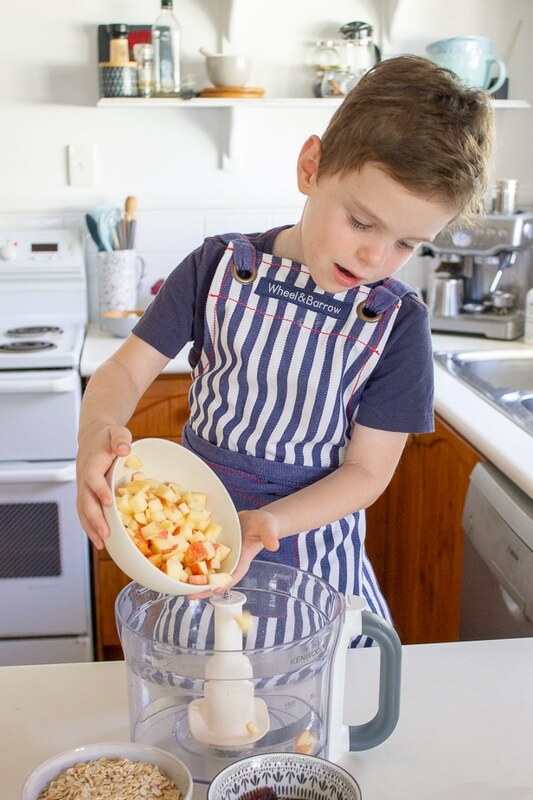 Mr 3 loves to help make (and eat) these delicious Apple Pie Bliss Bites. Even though these bliss balls are naturally sweetened with fruit, they are not so great for teeth. Often dried fruit is stickier and stays on our teeth which provides opportunity for cavities to develop. So encouraging kids to actually eat their Apple Pie Bliss Balls first is actually a great thing from a tooth perspective. What I like to do is make sure there are crunchy vegetables packed in the lunchbox which will help clean Mr 7’s teeth…that is, if he actually decides to eat them. The veggies that is, not the bliss balls! 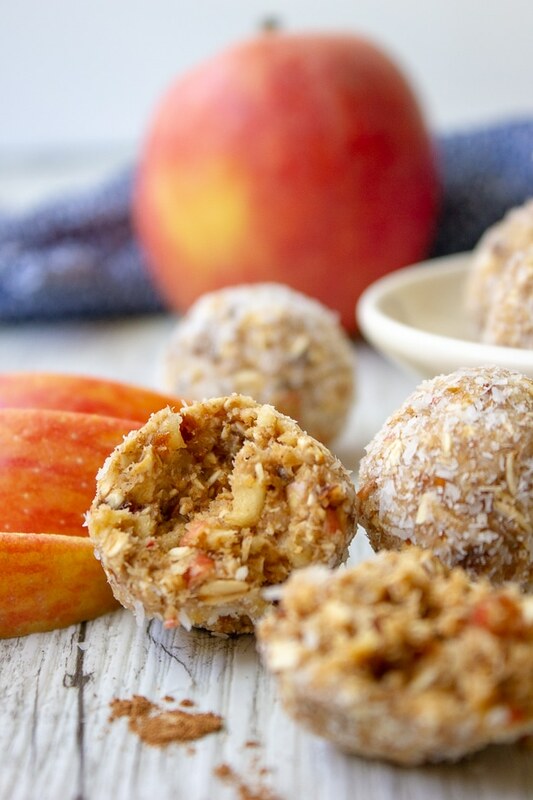 So that being said, these nut free Apple Pie Bliss Bites are not an everyday lunchbox snack. But they are SO good every now and then. 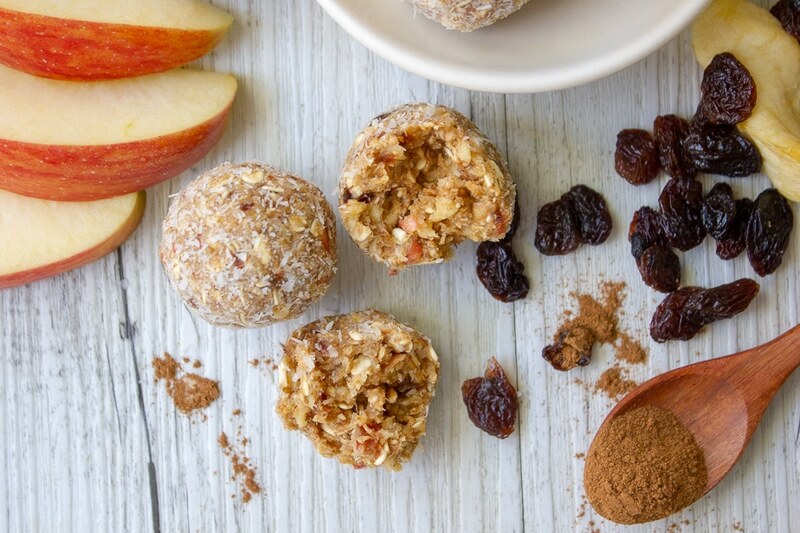 The bliss balls are just full of flavour and are naturally sweetened with fruit with no added sugars. These nut free Apple Pie Bliss Bites are great for school lunchboxes from an allergy awareness perspective. 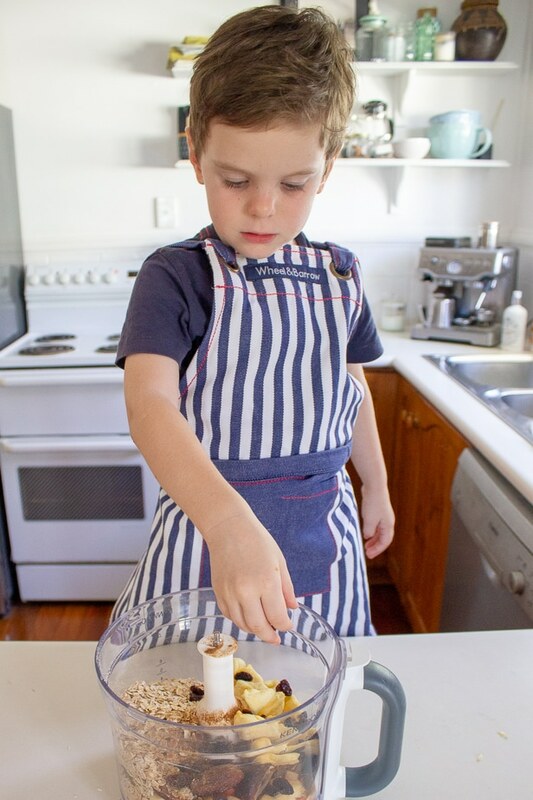 These Apple Pie Bliss Bites also so easy to make and I love to make these with the kids as a no fuss quick recipe. 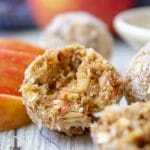 If you are looking for more recipes with apples why not try my delicious Apple Zucchini Muffins with No Added Sugar or these amazing Apple Oat Cookies sweetened only with fruit. I hope you love these as much as we do! Remember, I love to hear from you so if you make these be sure to take a snap and share with me on Facebook or Instagram.